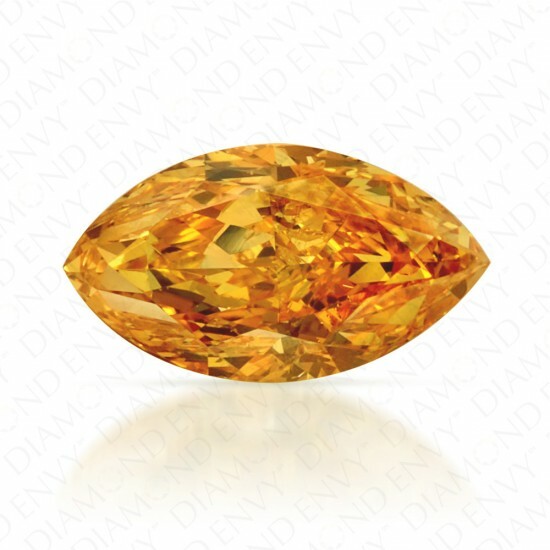 Warm as candlelight, this natural Fancy Vivid Yellow-Orange diamond will glow as part of any piece of jewelry. The beauty of this bright color diamond is how the yellow and orange seem to play with each other as the stone is rocked from side to side. 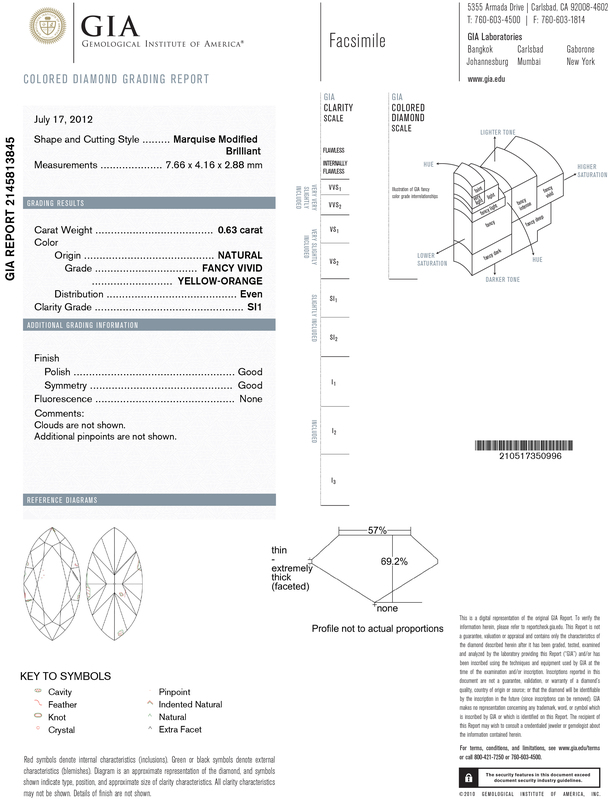 The marquise cut adds an element of excitement to this already interesting diamond. GIA Certified.